Currently browsing posts filed under "Student Organizations"
The College Council provides a solid archive of meeting notes, going back to 2009. Still, I am very sad that it does not go back further. Who else remembers the glorious notes of Jonathan Landsman ’05? Sadly, CC refuses (?) to make the notes for current meetings publicly available, even to alumni and local residents. Pathetic. Fortunately, we have our sources! The April 16 minutes are available to students. The central debate about WIFI is covered fairly well. A full zip archive of meeting notes since 2016 is here. 1) It was stupid for the Falk administration to change the rules and force student groups to seek recognition from College Council even if they were not seeking funding. (Falk and Co did this to make life more difficult for dissident groups like Uncomfortable Learning.) Student organizations can be trusted with many important decisions — selecting JAs, distributing funding — but not with this one. 2) Excessive student powers will be used against all unpopular groups, not just those unpopular with the Administration. By the way, BDS has yet to hit Williams in a big way. What happens when it does? 3) If Maud is smart, she will change the Student Handbook this summer to allow any student group to be created by simply submitting a form with the Dean’s Office. This will allow the group access to all the basic tools — like room reservations — that it needs to function. CC does not need to fund it, but they can’t ban it. 4) There are plenty of rich Jewish alumni that Maud will try to raise money from over the next few years. What do you think their views are on this topic? 5) College Council should just make its meeting notes and livestream public. The truth will come out anyway and, perhaps more important, a public livestream encourages better behavior from your guests. Last night, College Council (CC) voted 13–8 with one abstention to reject a request from the Williams Initiative for Israel (WIFI) to become a registered student organization. The vote came a week after the club’s request was tabled at a previous CC meeting, and the meeting involved nearly two hours of protracted and heated debate among both CC members and a large number of guests attending. Before the debate began, numerous members and guests expressed concerns that publicly revealing the names of those speaking, as CC has previously done to some extent through livestreams on its Facebook page and published minutes accessible to students at the College, would make students feel unsafe and prevent them from fully expressing their opinions. Several members and guests cited national news coverage of College events in recent weeks, including cases where specific students were mentioned by name, as justification for these concerns. CC ultimately decided to publish anonymous minutes accessible only to students with College emails. This is a developing story, occurring exceptionally close to our print deadline. The minutes are here, but inaccessible to me. Could someone post them in a comment? The video for last week has some interesting discussion starting at the 25 minute mark . . . It is one thing for leftist students on campus to attack random WASPs, especially WASPs who might be Republican. But when they go after mainstream (?) Jewish organizations, they may be treated very differently . . . The Record editorialized in favor of “affinity housing,” one of the demands made by CARE Now to both President Mandel (pdf) and the trustees. This means, more or less, reserving/restricting specific houses for/to black/Hispanic/Asian students. I have some small acquaintance with the history/politics/propaganda of Williams housing, so let’s dive in. Day 2. “[M]inoritized” is not a word that I recall from 10 or even 5 years ago. When did it first become common usage at Williams? For (at least) the last 50 years, before the Great Awokening, this would have been phrased: “Creating space for minority students.” Why the change? The longevity of this issue demonstrates that the call for affinity housing will not extinguish over time, so long as the College fails to address the residential needs of the marginalized members of its community. This is the opposite of the truth. That the College has successfully resisted calls for black-only housing for 50 years indicates that it is likely to be able to do so forever. Moreover, the primary purpose of Neighborhood Housing, instituted more than a decade ago and then abandoned, was to prevent student self-segregation, primarily of African-Americans and male helmet-sport athletes. Williams does not care if black students constantly campaign for affinity housing. It has successfully stymied their preferences for five decades! Furthermore, affinity housing has successfully been implemented by many of the College’s peer institutions, including Amherst, Bates and Wesleyan. Evidence? If only Williams had a competent student paper which might, you know, report on what is happening at other schools. If the Amherst theme houses are so successful, then why are students only allowed to live in them for 2 years? The Record editorialized in favor of “affinity housing,” one of the demands made by CARE Now to both President Mandel (pdf) and the trustees. This means, more or less, reserving/restricting specific houses for/to black/Hispanic/Asian students. 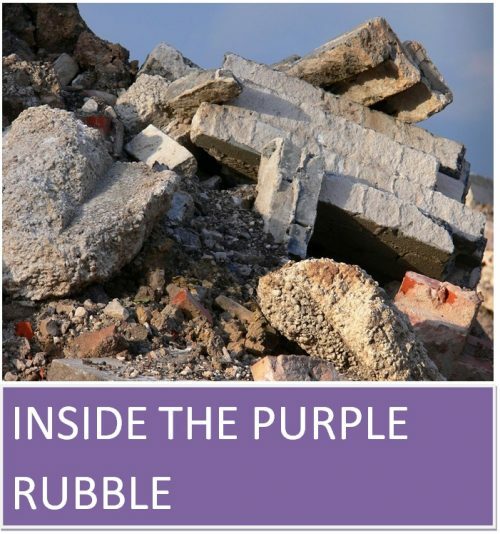 No one knows more about the history/politics/propaganda of Williams housing than I do, so let’s dive in. Day 1. 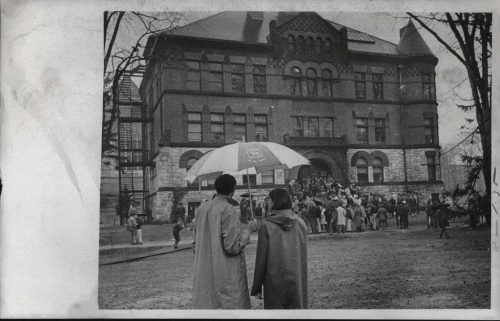 Affinity housing, the third of CARE Now’s 12 demands, has been advocated for by students as early as 1969, when the Afro-American Society, which occupied Hopkins Hall in demonstration, named affinity housing as one of its demands. Has anyone at the Record talked to someone who could explain this history? I doubt it! Although I occasionally hold out hope for individual reporters, like Arrington Luck, the Record, as an organization, is positively amateurish in its refusal to seek out knowledgeable sources. It is true that, for 50 years, students have wanted racial segregation in housing and the College has refused to provide it. Does that tell you something? It should! The College did not respond to the Afro-American Society’s demands and has continually ignored such demands. How stupid is the Record? 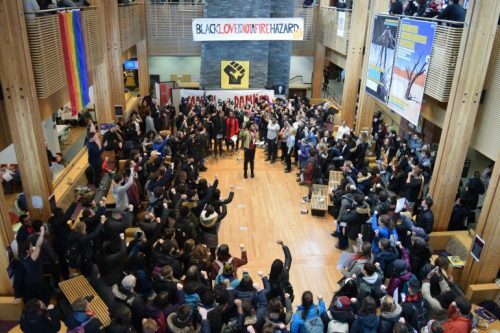 The College has “respond[ed]” to these demands over and over and over again. The answer is always the same: No! If you choose to come to Williams, you are going to live in a building with students of a different race. Don’t want that? Go elsewhere. We at the Record wholeheartedly support establishing affinity housing at the College. Doesn’t the Record understand how Williams works? If you want actual change — as opposed to the childish pleasure of virtue-signalling on the front page — you support the creation of a high-profile committee. [W]e must recognize that the College is a predominantly white institution in which students of color often feel tokenized, both in their residences and more broadly on campus. Is the College really a “predominantly white institution” and, if so, how long will this continue? Whites, in the latest class at Harvard, are a minority. There are more Asian-Americans than whites, in raw numbers, at the highest levels of high school academic achievement. An actual news organization might, you know, do some reporting on this topic, might point out that, in the Williams class of 2022 (pdf), only 263 of the 533 students are white, non-Hispanic Americans. That is only 49%. White Americans are already a numerical minority among Williams first years. The reason that black/Hispanic students “often feel tokenized” is, first, because the people that run Williams are, on this dimension at least, not very good at their jobs and, second, because these students often are, precisely, “tokens.” At least 50% (probably closer to 90%) of the black/Hispanic students at Williams would not have been accepted if they did not check that box. Good news! Storytime is back. When we discussed the complaints about Storytime, there was some confusion about exactly what the critics were complaining about. The key issue involved “the consumption of black stories, black lives and black narratives.” Allow me to translate from SJW’eese. 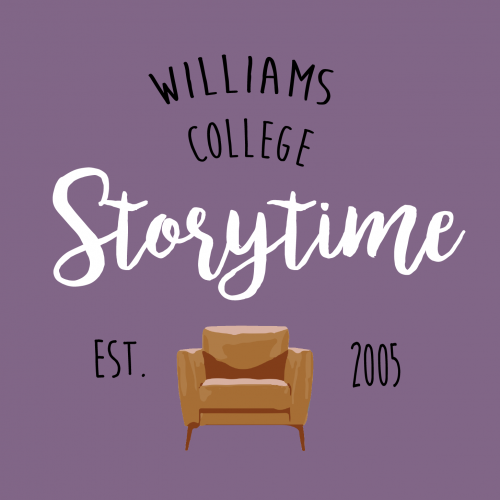 Consider three hypothetical cases of the behavior of a white student listening to a black student at Storytime. 1) Extreme boorishness. Arriving late, looking at his phone, rolling his eyes in disbelief, talking with his friends, asking confrontational questions, leaving early, and so on. 2) Neutrality. Arriving on time, paying attention, listening quietly, but asking no questions. 3) Perfect support. Behaving in such a way as to make the speaker certain you were supportive of her talk, her story, her views and her position in the community. The exact behavior which would make the speaker feel this way will vary speaker to speaker. There is a continuum, of course, but I would wager that no listener at Storytime has ever behaved with extreme boorishness, or anywhere close to it. Problems might arise, however, if a white student behaves in a way that a black student objects to. This is the heart of the issue, the style of “consumption” — by white students — of content created by black students. It is not enough to attend Storytime. One must react to the stories at Storytime appropriately. And if we can’t trust white students to react appropriately, then is better that Storytime be shut down. Having a conversation about these topics seems like a worthy goal. Congrats to Phillips for leading the effort. The problem arises when conversation turns to control. But to force the cancellation of Storytime — even though you are not running Storytime or speaking at Storytime — just because you don’t like the (potential!) behavior of some of the people at Storytime . . . That is a problem. If you do this, then I will war against you until the purple cows come home. Perhaps it is not too late to save Williams from itself. Storytime lives! Now, time to rescue the JA system . . . and academic freedom . . . and . . .
Student rally outside Hopkins Hall at Williams College, Williamstown, Massachusetts in support of black students’ demands, April 7, 1969. 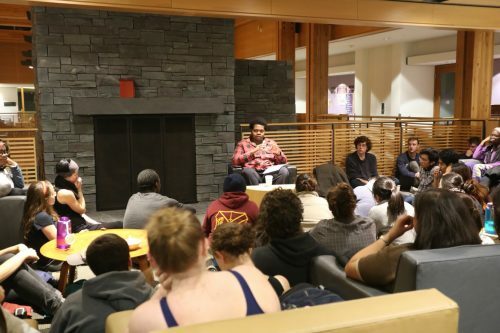 Students from the college’s Afro-American Society took over the building, seeking demands to add African-American studies to the curriculum, diversify the faculty, and more. Is the College planning any activities to celebrate the 50th anniversary of this event, perhaps the single most successful example of student activism in Williams history? Should it? “BSU holds town hall exploring affinity housing” is an excellent Record article by Kristen Bayrakdarian ’19. Let’s discuss! Day 5. The word “quite” is doing a lot of work in that quote. 1) Did Creighton provide the actual numbers? The Record should follow up! The more that we know about the admissions process, the better. Neither! She just knows that students are uninformed, that the Record is unsophisticated and that no one is going to call her on this nonsense. Students brought up that forming communities in college is considered by many high school students when deciding which school to attend. Exactly right. But this is why Creighton feels that she has to (?) mislead students. I would not be surprised if black high schools students find affinity housing attractive and that a Williams with such housing would yield more black students. But Creighton does not want the discussion to go down that path so she doesn’t tell black students the truth about yield rates. Indeed. That student ought to write for EphBlog! Sure seems like your views are marginalized at Williams today . . .
“BSU holds town hall exploring affinity housing” is an excellent Record article by Kristen Bayrakdarian ’19. Let’s discuss! Day 4. The Town Hall began with personal anecdotes from current Black first-years, who discussed their feelings of tokenization within entries and the lack of POC Junior Advisors (JAs), particularly Black JAs to whom they felt comfortable turning to. 2) Is there really a shortage of Black JAs? I count no fewer than 8 out of 45! Black students are dramatically over-represented among JAs. There was discussion of the burden Black first-years, and Black students in general, feel to “educate” their non-Black peers at a time when they themselves are trying to learn, dissect and understand their own experiences. This is the paradox which must drive Williams administrators (and faculty?) crazy. There are two ways we might treat group X at Williams. 1) Treat membership in group X as irrelevant, be “blind” to whether someone is or is not X. This is how I conduct my own teaching. 2) Make special efforts to seek comments from X’s if the topic before the class has to do with X. Choosing path 2, although theoretically desirable — what is the point of letting in a student with 1200 SATs if they are not going to enrich the education of their peers with comments that only they are qualified to make? — can generate significant push-back, as above. I bet that that JA has a very different take on her interactions with Bramble . . .
“BSU holds town hall exploring affinity housing” is an excellent Record article by Kristen Bayrakdarian ’19. Let’s get back to that discussion! Day 3. Discussion of the entry experience interweaved with ideas about what affinity housing could potentially look like at the College. Rocky Douglas ’19, co-chair of BSU, explained how as a first-year she experienced constant microaggressions and felt obligated to educate her peers, ultimately leading to intense feelings of isolation. I wonder what Douglas’s definition of a microagression might be. Voting Republican? Questioning the College’s affirmative action policy? Telling the (fascinating!) story of Bernard Moore? “Thank God I found Rice House [a Davis Center house autonomously managed by BSU]” Douglas said, describing Rice House as “this space I could go to and connect with upperclassmen, feel safe and not deal with microaggressions or feelings of alienation. I was in a space that was made with me in mind.” This idea of a space created by and for students of color was described as a central feature of potential affinity housing. Students interested in pursuing this topic, should propose something like what Amherst has. The Spanish Language House is an academic Theme House, located in Newport House, on the Amherst College campus, which can accommodate about fifteen students plus three Spanish Language Assistants. It is governed by the faculty of the Spanish Department, and administered by the Dean of Students through the Residential Life Department. If Amherst students have that — not to mention Charles Drew House — then why couldn’t Williams students have a Bolin House, governed by the faculty of the Africana Studies Department? Williams is (superficially?) a much more racially “diverse” place — meaning fewer white people of traditional stock — than it was 30 years ago. No complaints from EphBlog on that account! We want the smartest students from around the world, regardless of the color of their skin. But the second biggest change in student life may have been the ever-increasing isolation of athletes from other parts of the student community. For example, members of the lacrosse team are much more likely to live with each other now, including off-campus, then they were back in the day. There are about 100 recruited athletes in every Williams class. I think almost every one of them, after first year, lives in a rooming group with at least one other member of their team. I think a large percentage (a majority?) might live only with members of their team. The Record should do some reporting about this. 1) Pick up the phone! The Record‘s continuing refusal to talk to people like, well, me, who know a great deal about the institution is annoying. They don’t have to quote me — indeed, I might prefer for the talk to be on background — or do what I say, but a failure to even talk with knowledgeable sources is pathetic. 3) Seek comment from Adam Falk. He may not provide one but, even then, you should tell us that he refused to comment. Quiz him about the op-ed in which he urged students “to seek out someone whose opinions and beliefs are different than their own, and to engage in a conversation to really listen and learn from one another.” Fun stuff! 4) Cover the history of speech debates/suppression at Williams. I believe that, prior to John Derbyshire, no speaker has been banned at Williams for 150 years. The last documented case was Mark Hopkins banning Ralph Waldo Emerson. Tell us more about this history, and seek some comments from history professors at Williams. 5) Provide a comparison to other NESCAC/elite schools. Ask Amherst and Swarthmore if they have ever banned a speaker. Ask them if they ever would. They might use this occasion to make fun of Williams. Ask them if they have any official policies which would prevent their students from inviting any speaker to campus. Place Williams policy — which, right now, is that the president can ban whomever she likes — in the context of our peers’. 6) Interview prominent alumni who have experience with, or expertise in, campus speech debates. Start with Cappy Hill ’75 (who faced similar issues when president of Vassar and is now on the board at Yale), Will Dudley ’89 (who has his own set of challenges at Washington and Lee), Fred Lawrence ’77, and Zach Wood ’18. Lawrence and Wood testified before the Senate about this very issue. “BSU holds town hall exploring affinity housing” is an excellent Record article by Kristen Bayrakdarian ’19. Let’s discuss! Day 2. Hooray! EphBlog votes Yes! This is the perfect way to close the chapter on Adam Falk and his stupid decision to ban John Derbyshire. President Maud Mandel spoke about a petition that has been circulating amongst faculty requesting that Williams sign the Chicago Principles. Mandel is smart enough that she would not have brought up this topic if she were not in favor of it, and if she did not expect it to happen. Hooray for Maud Mandel! Who is circulating this petition? What, exactly, does it say? Details, please! But note also the counter-petition we mentioned last night. 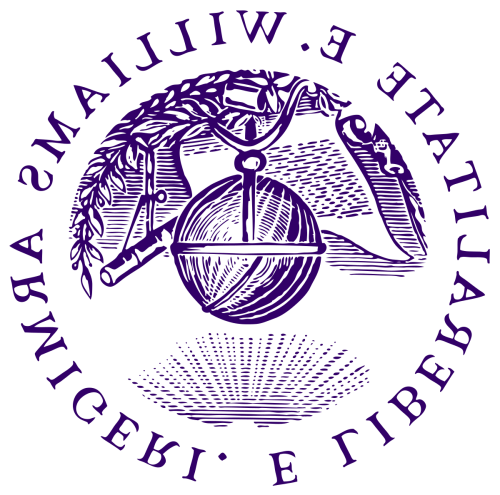 Though she encouraged students to look up the Chicago principles themselves to get a better understanding of what they are, Mandel described them as “a kind of high-level set of principles encouraging the university to have a stance towards speakers; [that is,] anybody should be allowed to be invited to the campus that anyone in the campus community wants to have come.” According to Forbes, since February 2018, at least 35 universities have adopted the Chicago principles. For related discussion, read about the Woodward Report. 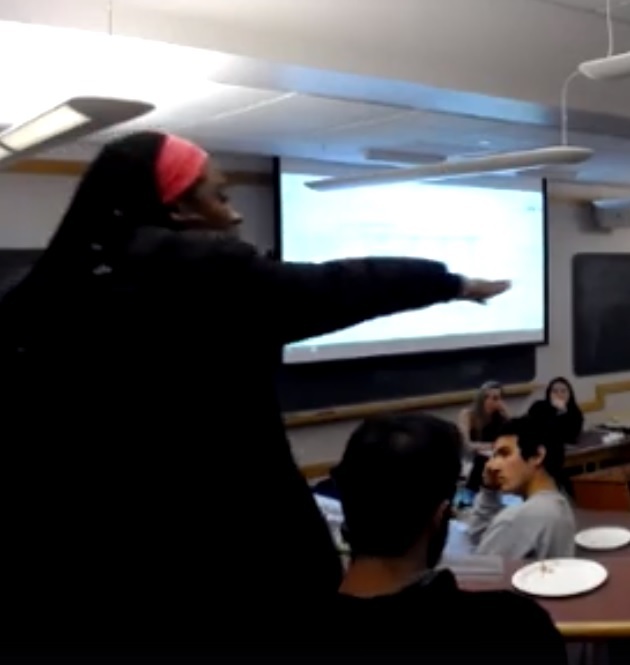 This brought up questions among attendees about the role of Uncomfortable Learning, a group that frequently brings controversial speakers on campus. Uncomfortable Learning is dead and buried, after 5 years of excellent work. Zach Wood ’18 has many strengths, but he never had much (any?) interest in what happened to UL after he left Williams. It had served his purposes, and served them well. Much of the discussion was centered around students’ qualms with the lack of academic value of many of these speakers. Some worried about the effects of people spouting hateful or even false rhetoric and refusing to engage with students or faculty in non-combative ways, in contrast to the legitimacy that an appearance at the College might lend these views. Good stuff! Let’s debate those views. Invite me to campus Maud Mandel! You will seem like a reasonable centrist — even if you sign the Chicago Principles — as long as you can contrast yourself against someone like me. Interesting article in the Record about the (temporary, one hopes!) demise of Storytime. Let’s spend 4 days going through it! Day 4. Let’s leave a thorough discussion of Ansari’s bio for another day, except for two items. Bilal began his community activism in 1994 in Oakland, California at the height of the Rodney King Uprisings. The Rodney King Uprisings — (?) riots is the more common term — were in 1992. Bilal is a legacy staff member: His great-grandfather and great-grandmother worked at Williams for 40 years. Cool! Would love to see a Record article about that, or/and about multi-generational staff in general. Is Ansari the hero or the villain of this particular story? As long as Storytime comes back quickly, he is the hero. EphBlog is powered by WordPress and delivered to you in 1.587 seconds using 53 queries..